Stringer provides such strong textual and pictorial imagery that we can almost feel the whirl of the wind and see the passing of yellow leaves. 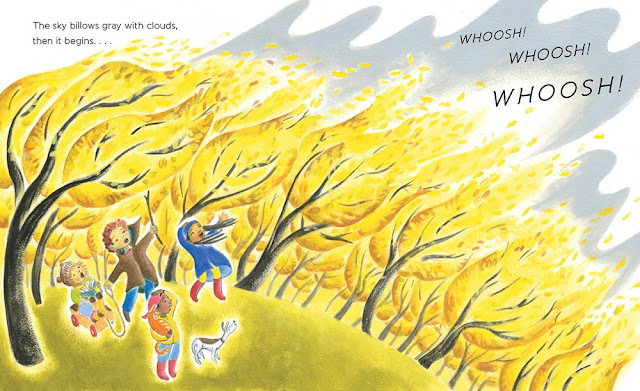 It's the perfect book to carry us into fall, to acknowledge the turn, turn, turn of the seasons. Stringer does a marvelous job of mimicking that sweeping motion in her illustrations. She carries us through the book with the wind and the leaves, blowing from the left side of the book to the right side. The watercolor and acrylic paintings allow Stringer to reach deep into every shade of yellow and pull it to the surface. 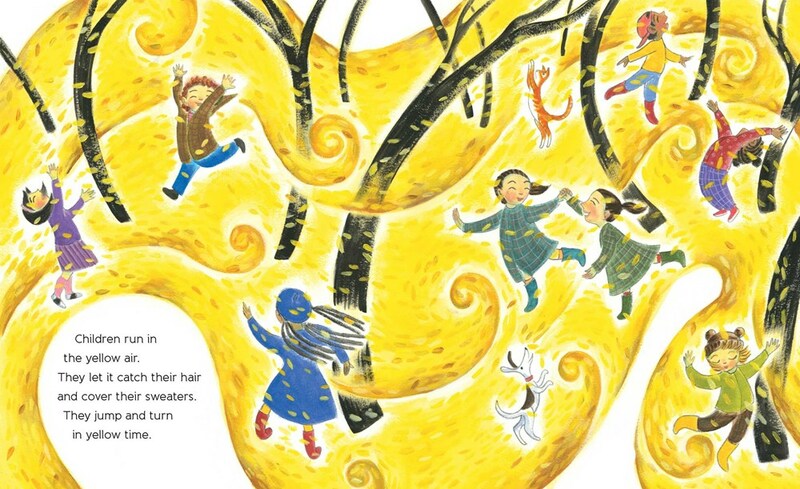 The illustrations have a glow to them--Stringer is fantastic at putting highlights into her illustrations--which makes them feel sunny and even more cheerful than they already are. At the same time, the softness of the paintings adds its own feeling of warmth to the illustrations. Yellow Time highlights a utopian moment in life, as the color beings to set in but before things get cold, allowing Stringer to emphasize the perfection of this time of year for making memories. 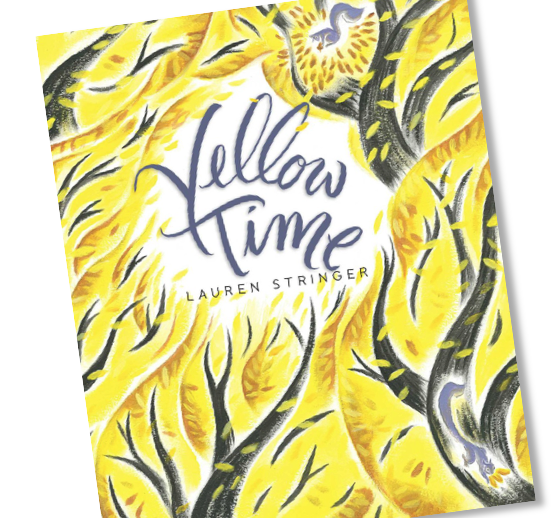 Yellow Time publishes from Beach Lane Books on September 20!